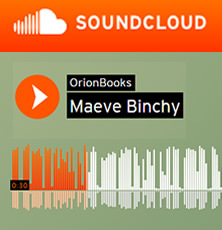 Juliet Ewers, Director of Orion Fiction, explains why Minding Frankie is her favourite Maeve Binchy novel. 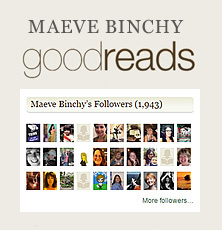 With all the Maeve Binchy novels I’ve read, it’s the people who stand out. Their lives, hopes and dreams, their relationships; it’s the things which go wrong as much as the things that go right which I find so utterly compelling … and no one does this better than Maeve. She creates people we want to be friends with; streets where we want to live, or at least visit; lives we want to, if not appropriate, then watch with utter fascination from a safe distance. Minding Frankie captures this beautifully. Here, a baby is born, Frankie, in need of a family when her mother dies. And what a family Maeve creates for her. 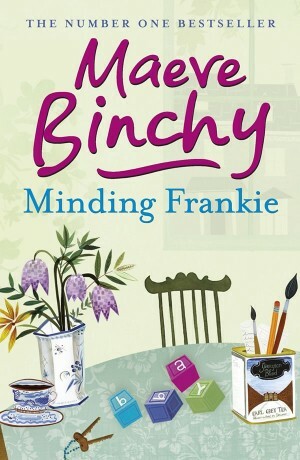 Whilst Frankie’s father, Noel, is struggling with his own personal demons (his relationship with Frankie’s mother was fleeting, and fatherhood unexpected), a whole battery of friends and neighbours eventually create the stability and the love Frankie needs. In addition to Noel, struggling with alcohol, there’s Lisa, who is in danger of giving up everything for a man who may not deserve it; and social worker Moira, who has the power to change the course of Frankie’s life entirely. Yet there is nothing sentimental about Minding Frankie. The characters Maeve creates are real people, not perfect people. They do wrong as well as right; they may have their hearts in the right place – or not – but things do not always turn out for the best for everyone. But, for me, ultimately Minding Frankie works on every level. I was willing things to turn out right for Noel and Frankie. I wanted them to forge the most perfect father–daughter relationship; I wanted it all to be as it should. 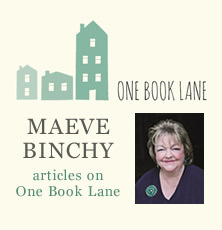 That’s the beauty of Maeve’s writing: ultimately, she makes you care.